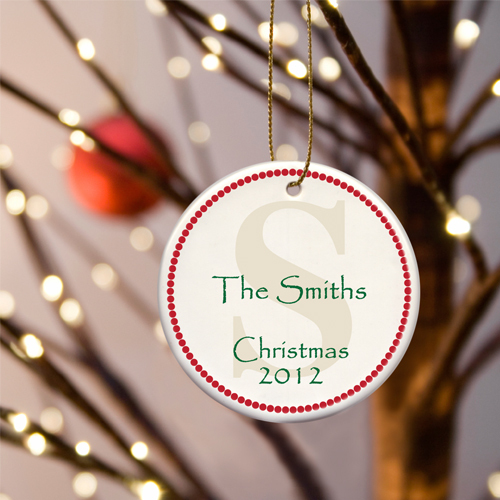 * Make your Christmas tree truly your own with these handsome ornaments from our attractive Initial Series. * Featuring the traditional colors of Christmas, this series boasts a selection that fits any décor, from classic to contemporary. * A great gift for your favorite family! 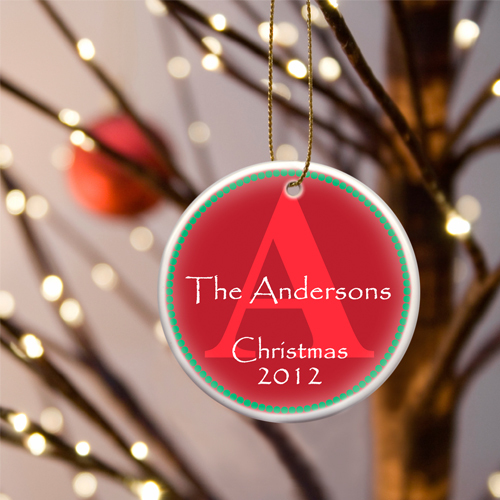 * Ornaments measure 3" in diameter and are ready for hanging with a gold metallic cord. 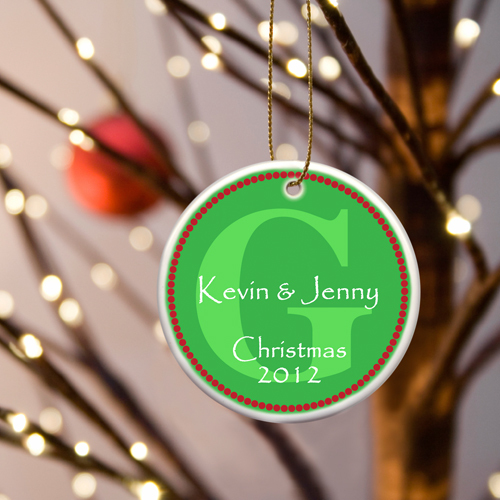 * Personalize with one line up to 15 characters, last name initial and holiday year.